Tesla Inc. (TSLA.O) closed just shy of USUS$360 a share Tuesday, the highest since August 8, as it bucked a larger sell-off in major indexes including the Nasdaq and Dow Jones Industrial Average. Reaching that price could help placate investor concern about Tesla’s cash flow as it works toward sustainable profitability amid rising Model 3 deliveries. 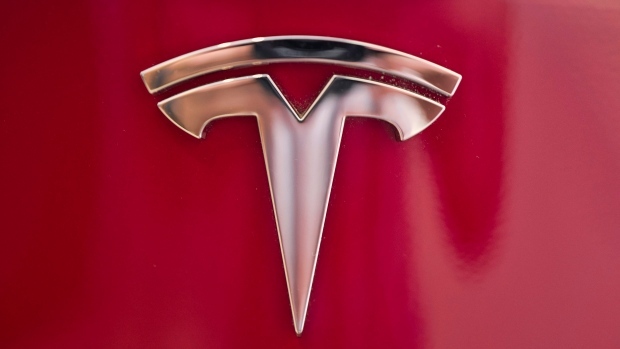 Tesla has US$920 million of debt due March 1, and the conversion price is US$360. Though much may change before then, if its shares stay above US$360, the electric-car company could pay off the obligation with stock instead of cash. Analyst Garrett Nelson of investment researcher CFRA raised his price target to US$420 Tuesday, up from US$375. “While TSLA will face increased competition in the electric-car space in 2019, we see limited impact on sales, as TSLA’s brand strength and the gradual introduction of lower-priced Model 3’s undercuts competitors,” he said in a note. Tesla rose 0.3 per cent to US$359.70 per share on Tuesday. The Nasdaq, meanwhile, fell 4.9 per cent, the biggest one-day slide for the benchmark since Oct. 24. The company led by Chief Executive Officer Elon Musk posted its largest profit ever in the third quarter and appears to have put much of the drama of the Model 3 production ramp behind it. Last week, Musk sent an email to Tesla employees outlining top priorities that include stabilizing Model 3 production at 7,000 cars a week and working to improve costs so the company can build and sell the US$35,000 version.